New Colors. Made for You. Our best-selling crewneck got a makeover. New cuffs, waistband, colors and fit that you’ll need to add to your wardrobe. Inspired from the styles and looks you love with new colors to add to your closet. The boxy corded crewneck is shorter in length and features a wider waistband and cuffs compared to the original corded crewneck. It fits just below the waistline and features stylish side slits for a higher-end look. The boxy corded crewneck is available in Storm, Vintage Black, and Honey. The original corded crewneck is now also available in Desert, Vintage Black, and Oat. Meant to be worn oversized. We recommend ordering your normal size for ultimate relaxation or a size down for a more fitted look. 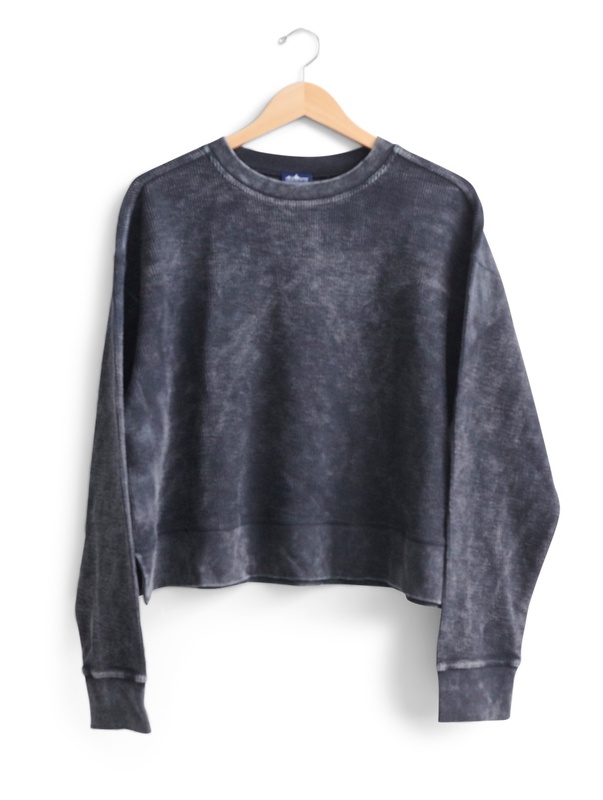 The boxy corded crewneck can be paired with anything in your closet--jeans to leggings.